My cousin Lisa gave this recipe to me ages ago. 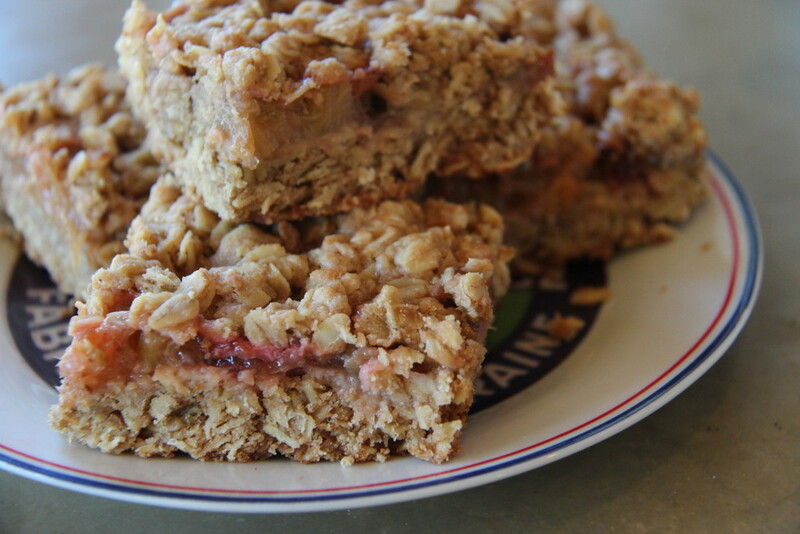 It reminds me of a fruit crisp recipe that you can take on the go. This spring I modified it to accommodate the abundance of rhubarb in my garden. I prefer using thick rolled oats rather than quick oats, therefore I had to increase the butter to help soften the oats. 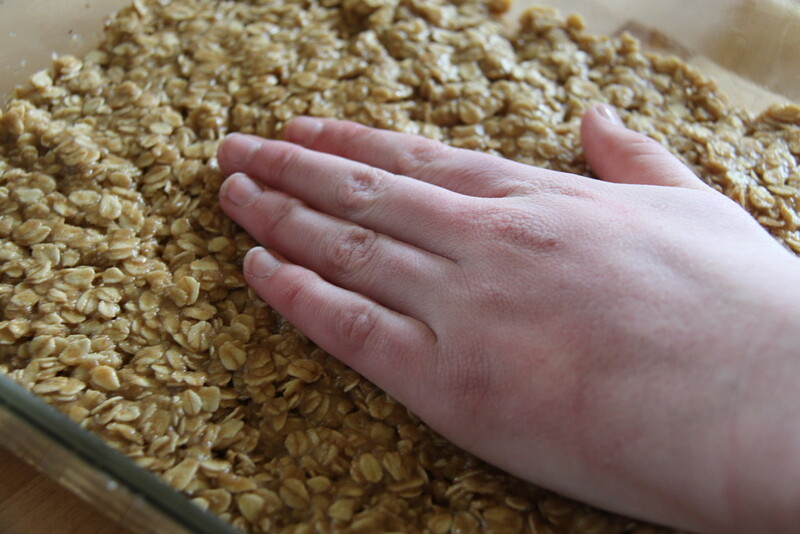 If you end up using quick oats you will only need 1 1/2 cup melted butter. The beauty of this recipe is the simplicity of it. Our fresh milled Einka flour reveals a hint of sweet vanilla that compliments rolled oats nicely. Any jam can be used in place of rhubarb. 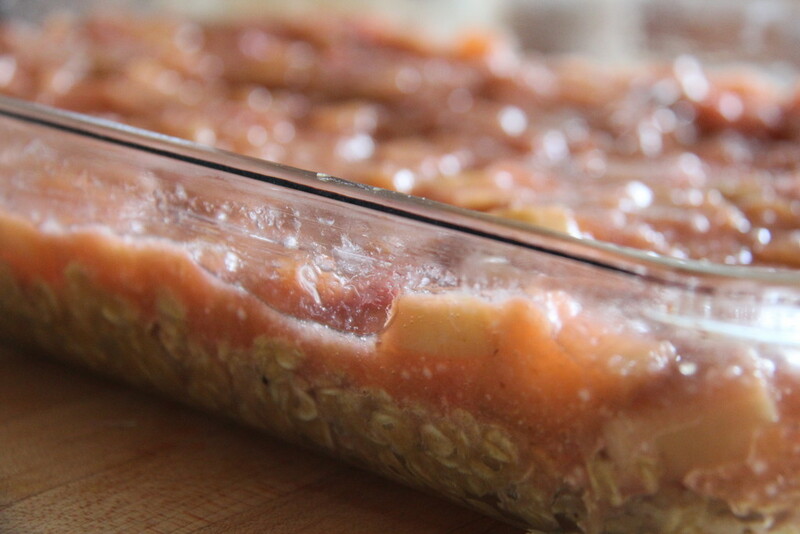 The bars work best when you allow them to fully cool before cutting them into squares. Prepare stewed rhubarb by combining chopped rhubarb, sugar, orange juice and zest in saucepan over medium-low heat. Simmer gently, stirring occasionally, until sugar is dissolved and rhubarb begins to soften, about 8-10 minutes. Turn heat to low, and continue to simmer and stir for 10 more minutes until mixture resembles a thick sauce. Turn off heat. Transfer to a bowl to cool. Melt butter and brown sugar in a medium sauce pan and stir until incorporated. In separate bowl mix oatmeal, flour, salt, and baking soda. Add warm butter and sugar to the oatmeal and flour and blend until thoroughly incorporated. Oil a 9 x 13 pan. Spread mixture on bottom of pan, reserving 1 cup for the top. Using your hand, gently press the mixture into the pan to form a firm layer. Evenly spread 2 cups of the stewed rhubarb over the oat mixture. You will have some stewed rhubarb left over (delicious topped over vanilla ice cream). 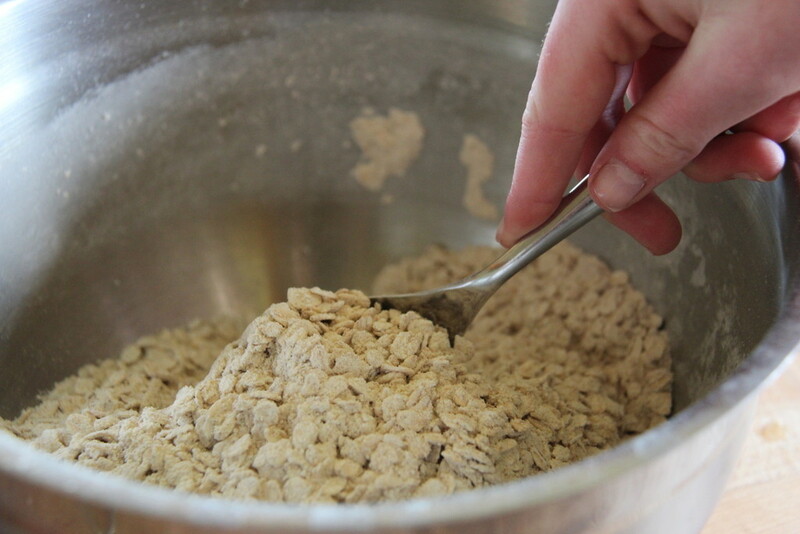 Sprinkle the remaining cup of oat & flour mixture on top. Bake at 350 degrees for 20 minutes. 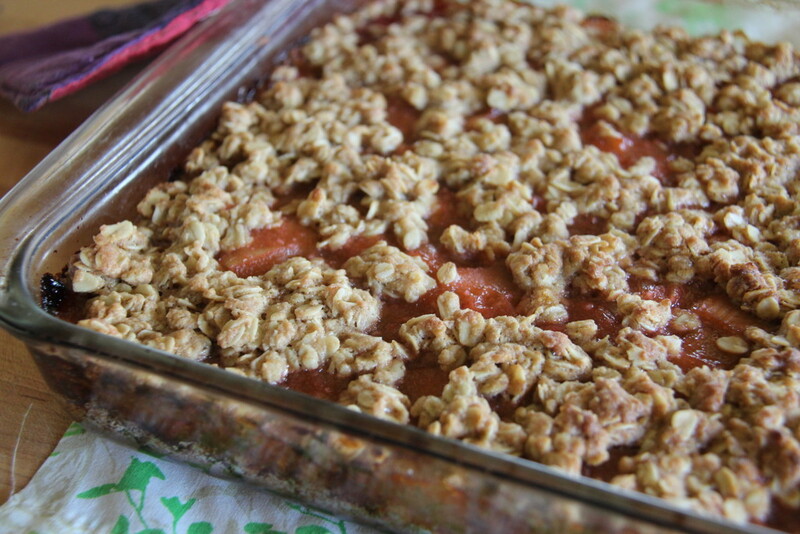 Remove from the oven and allow bars to fully cool before cutting them into squares and serving. * 16 oz. of any jam can be used in place of stewed rhubarb.